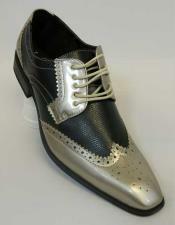 Have you ever thought of getting dresses and completing your look with designer dress shoes? Designer dress shoes for men are highly unique in appearance, color shade and style. 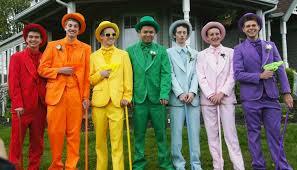 You can't wear designer dress shoes unless and until for special occasions. These shoes for men are designed in the type of color, design and pattern that are most suitable for grand and auspicious occasions. 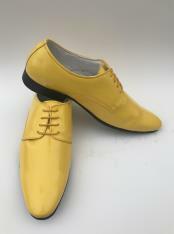 One such color that is popular in men's shoes collection is the gold dress shoes for men. Gold is a color that cannot be worn for occasions like business meetings and so on. 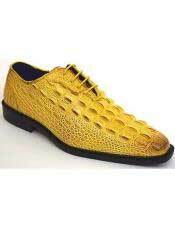 Men's gold colored dress shoes are suitable for traditional wear that are worn for occasions like weddings, prom nights and other traditional functions. 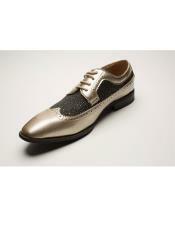 There are a lot of variations available in gold dress shoes for men in terms of color shade, design and fabric. If you think that the color gold is too gaudy for dress shoes and will become the overall highlight, then you can opt for dual toned combinations in men's gold dress shoes. 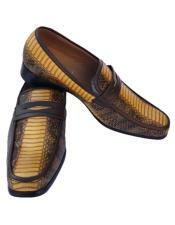 Some of the popular color combinations include the black and gold shoes for men. Black is a color that blends well with all other colors, hence the black and gold dress shoes for men is not a bad choice at all. After black, the next most common color is the white. 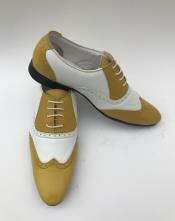 White and gold shoes for men are yet another classy combination that you can consider. Another interesting color that has become popular is the rose gold color. 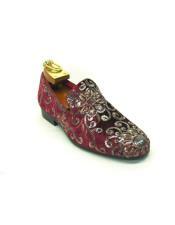 The newest and the rarest choice that you will ever make in men's shoes collection is the rose gold dress shoe for men. 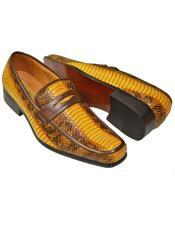 There are a lot of different patterns as well in golden colored dress shoes for men. 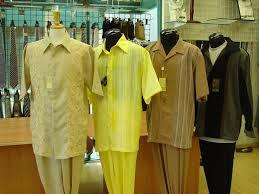 You will find different stylish prints, embroidery designs and much more for gold dress shoes options for men. You can also find men's metallic gold shoes with classic buckle like design on them. 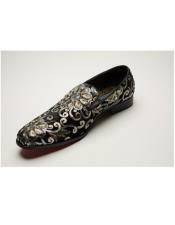 Gold and silver shoes are yet another choice that is designer made for auspicious and traditional wear. 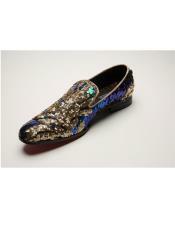 You have a number of styles and designs when it comes to men's gold dress shoes. 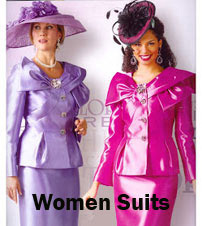 All you have to do is pick the best one for your outfit. 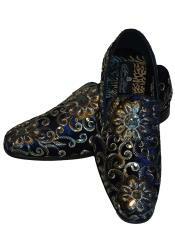 Mensusa stock all latest designs and patterns in men's shoes online. 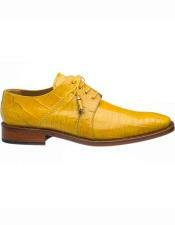 You are sure to find the best gold color dress shoe for men at our online store. Be it a dual tones gold dress shoe or a highly traditional fully gold dress shoe for men, you will find them all in various men's size at our site. You can never go wrong buying from Mensusa.com. 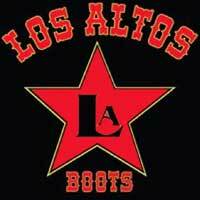 We are decade's old online store selling men's clothing, men's footwear and men's accessories at cheap and affordable prices. Buy men's suits, men's tuxedos, neck ties, leather shoes, casual sport shoes, sneakers, loafers and all kinds of me's apparels at our website.